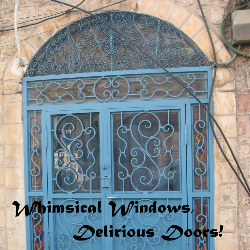 Toby hosts the fun architectural meme Whimsical Windows/Delirious Doors. Earlier this afternoon, I drove our son to the train platform in Milford Connecticut. In the interest of speed, I kindly asked the lovely Patti if she could capture the 'station' and she kindly agreed. Taken from the north platform (southbound train toward NYC), the opposite platform was captured. There is no station as such these days with e-tickets the norm...happily the early 1900s (?) building is still being used, and seems just right in B&W. All aboard! You're right, the black and white really does it's magic here - if you told me that this was taken 50 years ago, I would absolutely believe you! Well captured! Great photo. I miss the old stations with real people that could answer my queries. Old rail stations seem much more pleasant places for waiting for a train than the current ones that are nothing more than a kiosk. And it looks like this one at least has been repurposed into an art centre. Yes, black and white suits it very well; in fact before I read your explanation I assumed this was an old photograph from the b&w days of long ago.